In honor of me turning 30, I made mix CDs of my favorite songs from each of my 30 favorite musical artists/groups. Read the introductory post for more background information on my 30 at 30 project. Reminder: there is no scientific rationale for this list. They’re simply my personal favorites. 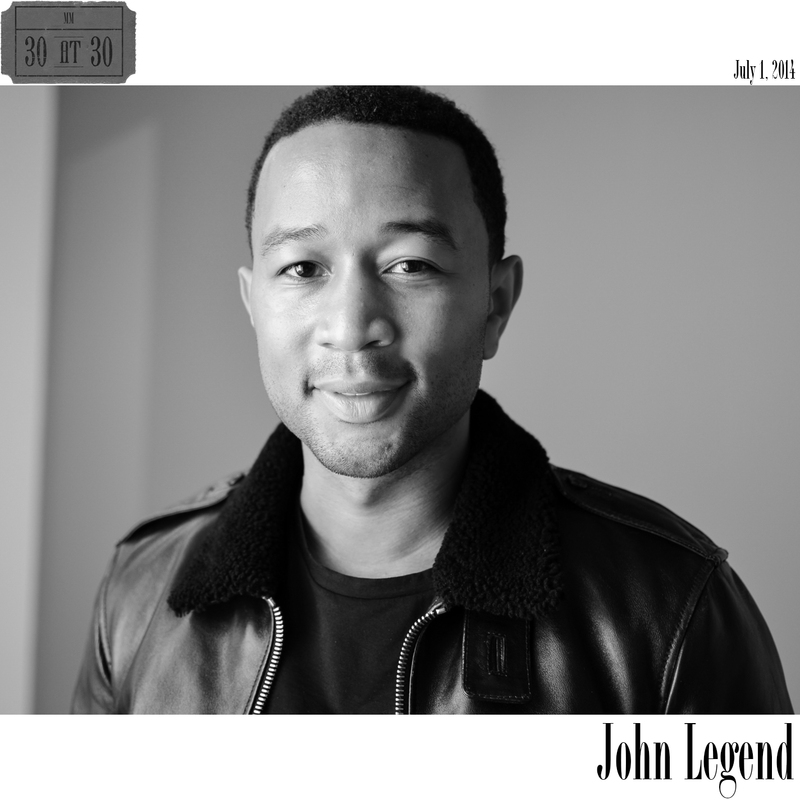 Coming in at number 11 is John Legend. John Legend has successfully mixed the hip hop swag of today’s generation with the smooth crooning vocals of classic R&B from years gone by. In fact, the “Legend” part of his stage name was given to him for that reason. Poet J. Ivy said that he had an old school sound like one of the legends and began calling him John Legend. The name stuck, and Legend’s career has made him a legend in contemporary R&B, hip hop, and pop music. Legend worked his way to get to where he is today. He built his reputation through collaborations, playing piano and/or singing background vocals with/for the likes of Alicia Keys, Lauryn Hill, and Kanye West, among others. By the time he released his debut album, Get Lifted, in 2004, Legend had found his voice and his niche in the music scene. Few people in modern music have as much cachet with as diverse an audience as Legend. His primary sound is soulful R&B with romantic lyrics that make him relatable to the masses. Yet, he often laces his piano tracks with hip hop back beats. It wouldn’t be a stretch to say that Legend’s music is approachable hip hip, offering an in to hip hop culture for those who may otherwise be turned off by the genre. Legend has the ability to produce a throwback track a la Marvin Gaye or mix in a verse from Ludacris, and neither sounds forced nor out of character. John Legend is simply the best at what he does. For my compilation, I selected a variety of tracks from each of Legend’s four albums. His 2004 debut Get Lifted led the track count with six different songs making the cut, including “Ordinary People” and “Stay With You.” “Ordinary People” is an excellent song detailing the ups and downs and challenging nature of relationships. Rather than focusing on the “honeymoon phase” of relationships, Legend digs into the dirt, points out that we all make mistakes, and suggests that it’s OK to argue and disagree. Love can overcome. Society often gives us the message to “just do you” and do whatever makes you happy, but “Ordinary People” suggests that there’s more to life than our own selfish desires. It’s normal to have ups and downs in relationships. Be quicker to forgive than to give up. “Stay With You” offers a very similar message of love and commitment. Legend’s message is refreshingly candid. It’s not all about the glitz and glamor. There’s a recognition of reality. Love isn’t always pretty. Sometimes it is. But more importantly, love always IS. It doesn’t take a day off when times are tough. That message really comes through in these songs. Perhaps my favorite track from Get Lifted is the song I chose to close the album with, “It Don’t Have to Change,” a nostalgic, gospel-influenced song that feels like a 21st-century church hymn. The song reminisces about fond memories of days gone past and implores us that even as other things may change, love is one thing that can remain the same. 2006’s Once Again landed three tracks on the compilation, including “Slow Dance”, which is a tremendous slow jam to…dance slowly to. “P.D.A. (We Just Don’t Care)” is a fun, slightly up tempo groove in which Legend puts love above any concerns of public opinion or approval. In 2008, Legend returned with Evolver. “I Love, You Love” is a grown up love song, and I don’t mean that in a parental advisory kind of way. It’s romantic, but it’s heavy. This isn’t first date, first kiss lovey-dovey stuff. I’d love to give to you. Things just got real serious, John. Evolver also saw Legend getting more socially and politically conscious in the form of the inspirational song “If You’re Out There.” The song alludes alludes to Gandhi’s quote, “Be the change you want to see in the world” and was inspired by President Obama’s 2008 Presidential campaign. Legend’s most recent release was 2013’s Love in the Future. Legend married Chrissy Teigen 11 days after the album was released, and it seems clear that much of the album, including the top single “All of Me” was inspired by his wife. From “The Beginning…” to”Made to Love” to “Caught Up”, Legend hits way more than he misses on this album, showing a continued preference for a mature understanding of love. I especially like the video for “You & I (Nobody In the World)”, which attempts to break down the stereotype of female beauty and shed light on the body image insecurities that women deal with (thanks to a culture that perpetuates those aforementioned stereotypes of what is and what is not beautiful). The message that comes through in the lyrics is that the subject is beautiful because the singer sees her that way regardless of what makeup or clothes she’s wearing. The message of the video seems to go even a step further and suggest that you need to see yourself as beautiful because that will be reflected in the eyes of those who truly love you. Anyway, the point is that John Legend is near the top of the charts when it comes to R&B love songs, in no small part because he’s able to add depth beyond the standard lines. Everyday love songs are a dime a dozen, but John Legend’s are legendary.